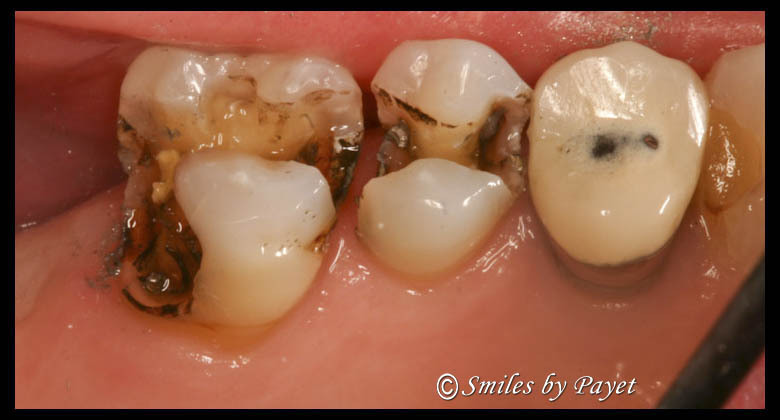 What hides under old silver fillings? 2) Diagnose and recommend treatment BEFORE it actually hurts or breaks. 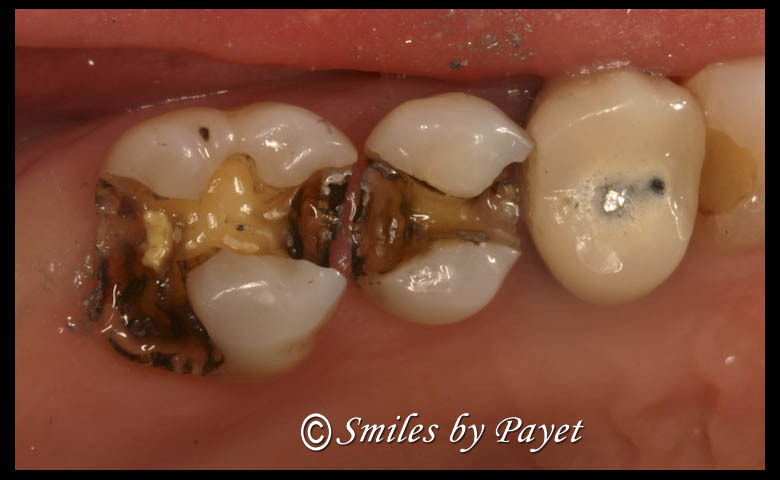 As a general rule, at Smiles by Payet Dentistry, we follow the second philosophy. The key to remember, though, is that it is ALWAYS up to YOU to decide when to actually proceed with treatment. I’ll show you what I see by digital photography and x-rays, give you my recommendations, and then it’s up to you to decide what to do about them. We understand that the treatment has to fit into your life – your budget, your schedule, your priorities. I give you my word — I will NEVER pressure you into doing any treatment. I MAY make some very strong recommendations and urge you to proceed with treatment so that you avoid pain, loss of teeth, or other complication, but it’s still your decision, and we promise to respect that. 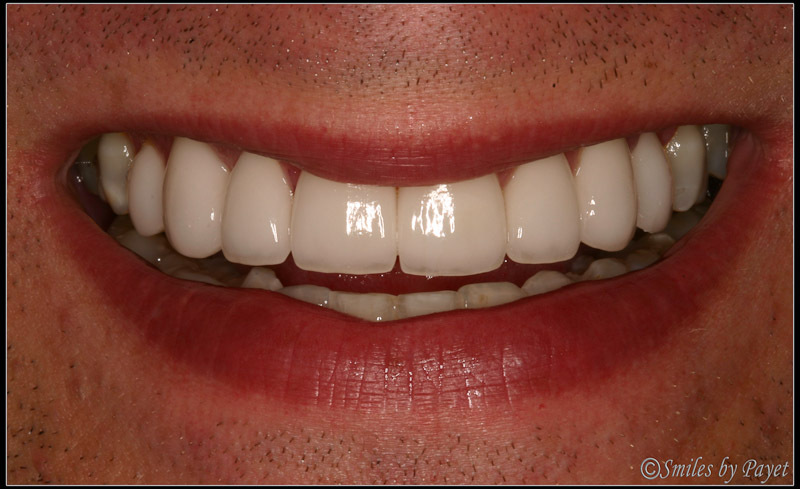 One of the tricky parts of dentistry is this: we can’t see through old fillings and crowns and bridges, not even with digital x-rays, digital photography, not even with the Zeiss PICO dental microscope that I use. We can only see things AROUND them. And quite honestly, as much as I believe silver amalgam fillings are a perfectly acceptable treatment, I also believe that they hide a multitude of evils. 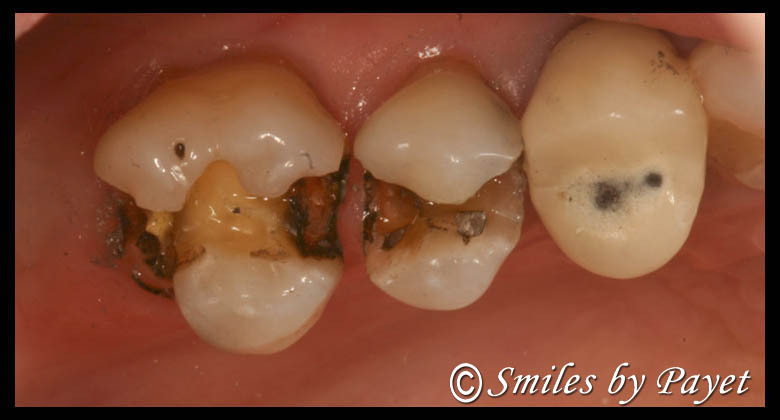 I already showed you the cracks that are often associated with big, old silver fillings, especially in patients who grind their teeth. 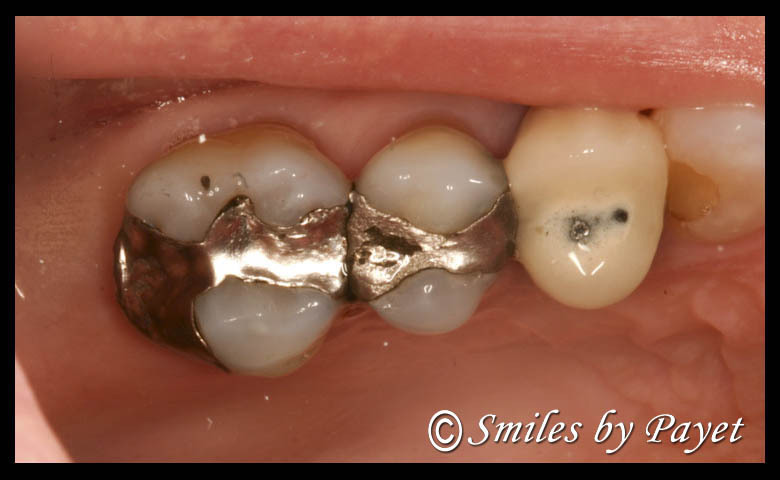 What I didn’t show you, though, is how much decay (cavity) can be hidden from us by old silver fillings. They may not hurt, but it is not uncommon for there to be so much decay under them that a root canal becomes necessary when it’s all removed — and often times it can not be seen on x-rays! This makes it frustrating for patients, can’t understand why we recommend replacing a filling with a new filling or a crown. 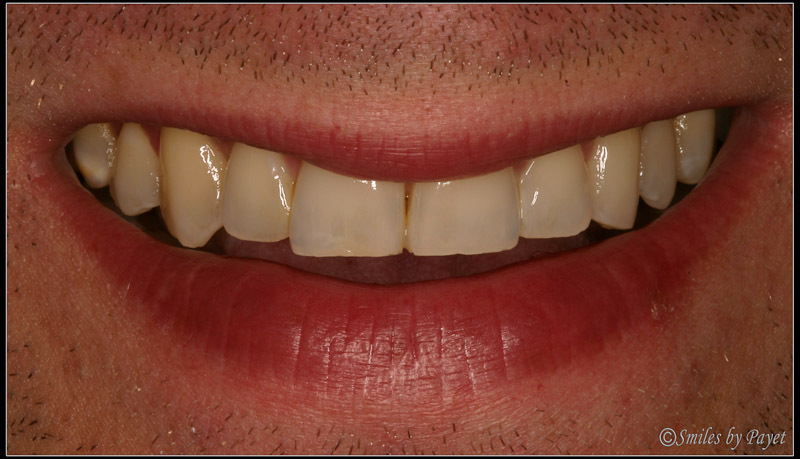 So along with examples of the beautiful dentistry that we provide, I’ll also regularly show you the problems we often encounter when treating teeth, which should help you, the patient, better understand the WHYs of our recommendations. 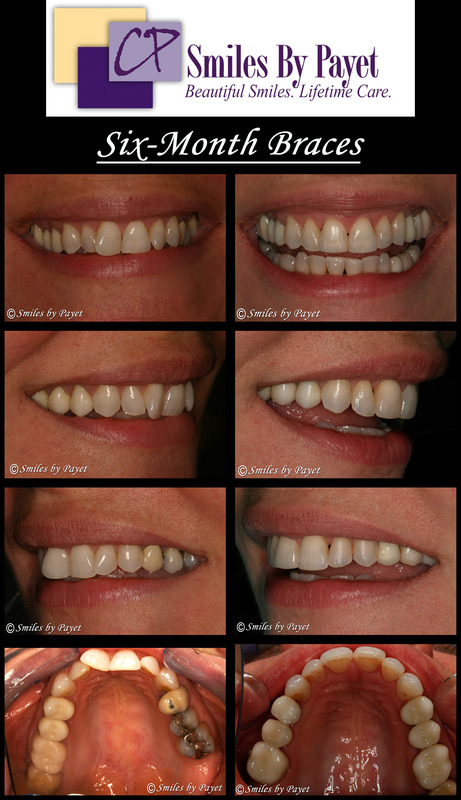 A perfect example: This lady had these fillings for many years, probably over 20. The molar had just recently started bothering her a little with sensitivity to cold and sweets, but nothing serious. The main reason she wanted them replaced was for appearance, though — the greyish color really showed through on the front of the teeth. You’ll see that they don’t actually look all that bad to an untrained eye. After seeing thousands and thousands of them, though, I had some idea of what to expect……..but even I didn’t expect the problem to be so extensive. Oh YUCK! See all that black crud? That’s decay — mushy, soft, and definitely NOT healthy. And this is fairly normal to find under 20+ year old fillings, to tell the truth. Just some food for thought: maybe your dentist has recommended some treatment, perhaps to replace those silver fillings that have been there for 20-30 years, and maybe they’re not even bothering you, so you think, “Nah, I’ll just wait, doc. Thanks but no thanks right now.” Consider this: another 6 months, and this lady probably would have needed at least 1 root canal, maybe even 2. Not only would that have required more time, possible a lot of discomfort, but probably would have added another $1500-2000 in treatment costs. Do you really want to wait?